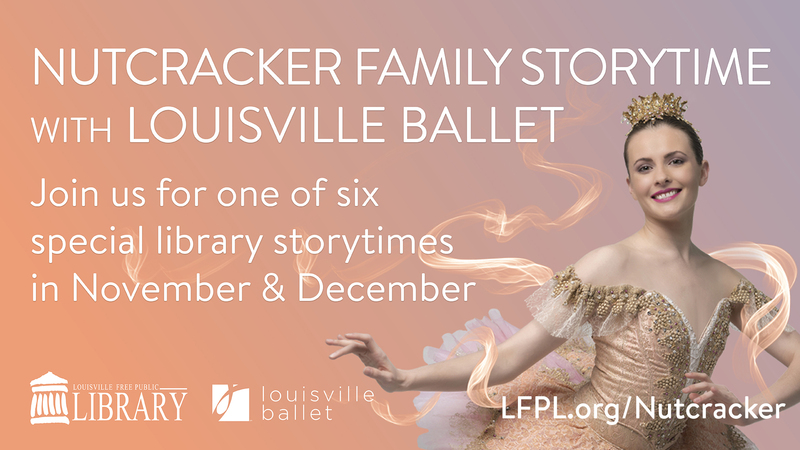 Join us for one of six free Nutcracker Family Storytimes featuring a Louisville Ballet dancer reading the classic holiday story The Nutcracker, followed by Nutcracker-inspired crafts and activities. PLUS, one lucky family will receive 4 tickets to see the Louisville Ballet’s production of The Brown-Forman Nutcracker! All storytimes start at 6:30 p.m.